Nearly 85% of potential customers search the web before making a purchase. So it’s your website that has the best chance of being the “first impression” of your company and offerings. And it turns out, the look and feel of your website are the primary drivers of those first impressions. This is why web design is important. Great web design instills trust in your business. According to web credibility research from Stanford, 75% of users admit to making judgments about a company’s credibility based on their website’s design. First impressions are 94% design-related. While quality content is important, even the best content is rendered useless when embedded on a poorly designed website. So it really comes as no surprise. Visual appeal and website navigation have the biggest impact on the perception of your brand. Now more than ever, it’s crucial to create imagery where your brand and your offerings stand out. You must grab and hold the attention of your target users. This is why web design is important. You never really know how many leads are lost on a bad first impression. And those leads never call to tell you why they didn’t choose your business – they simply move on to the next search result. If you think your business is losing business due to poor design, make an impression in your marketplace with creative design by Octane. 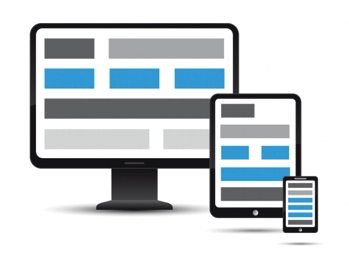 We can design and build your website in a beautiful, responsive format so that potential customers can view your products, services and content on any device, anywhere.